With the Pound at an all time low, interest rates at 0.25% and the B.O.E set to cut them still further, the Chancellors Autumn statement in November is unlikely to provide any stimulus or confidence for investors. As a business owner the question for me is where do I place my mid to long term investments particularly with regards to retirement planning. There is a real chance of negative inflation and 0% interest rates over the next few years. If you think this is unlikely, take a look at Japan! The old emergency solution was to buy gold but with this commodity now volatile due to over trading, it is no longer a safe option. Well my friends, the best solution is as ever, bricks and mortar. But not the old way of investing. Buying a rental property hoping to get a decent tenant and reliable yield? No, that is old hat now. However investing in London residential rental property is as solid as it has ever been. In fact, with the Cross Rail development well underway, there has never been a better time. But not the traditional way as I said before. It is now extremely easy to build a portfolio of rental properties by investing in property shares. You do not have to get involved in any of the purchasing hassles, legalities or risks. You simply choose a property, select your level of investment and purchase a share of that property. You then receive not only the appreciative value of the property but a rental income share as a dividend. I currently have a portfolio of 10 London properties that are earning me a 10% yield and am building on this monthly. View our properties online. They’re hand picked by one of Britain’s top property experts – he’s called Robert Weaver. All properties are organised into different investment themes to make it easier for you to choose. When you find one you like, invest at the click of a button. Investments into a single property typically range from £50 to £50,000. We do all the stressful bits; like mortgages, solicitors and maintenance. There’s a one-off 2% fee, with no annual charge. Property Partner reserves the right not to list an investment for sale and to decline investment requests via its platform at its sole discretion. You’ll earn income from rent each month - the amount is in proportion to how much you own of the property. 10.5% (+ VAT) of the rent is used to cover the forecasted costs of advertising, letting and management. Track your properties on your dashboard to see how they perform - If the market rises, watch your investment grow. At any time, offer your holdings to other investors on the market at a price of your choice. Unique to Property Partner, the ‘Resale’ Market is our online property market, where investors can trade their property holdings with each other. You also choose how much of your holding that you would like to sell. Every 5 years, we offer all investors the chance to sell at market value. The property valuation will be made by an independent chartered surveyor. We don’t charge anything to sell: 0%. The proceeds are yours. The FCA (Financial Conduct Authority) is the body that regulates the conduct of the financial services industry in the UK. The FCA supervises and monitors our conduct on an ongoing basis. Crossrail is Europe’s largest construction project, stretching across 40 stations and due to complete by 2020. The line will bring an extra 1.5 million people within 45 minutes of central London, dramatically reducing commuting times to key areas such as Canary Wharf, Paddington and Liverpool Street. Areas that were relatively inaccessible will suddenly find that London is at their doorstep. With each train able to carry 1,500 passengers, an estimated 200 million people will travel on Crossrail each year. 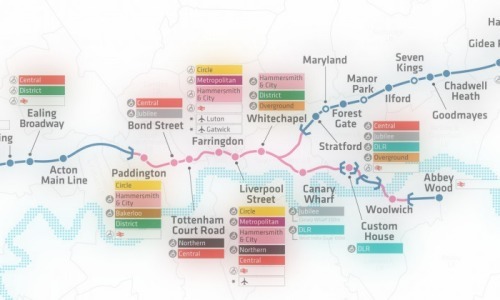 The railway is expected to add an estimated £42bn to the economy of the UK, and many Crossrail locations are undergoing substantial regeneration projects. Unsurprisingly, most property professionals believe it will have a significant impact on the property market, placing upward pressure on capital values and rent. In fact, for areas within 750m of Crossrail stations, JLL forecast capital growth from 33.6% (Bond Street) to 53.6 % (Whitechapel), and for rental growth, they forecast from 22.3% (Bond Street) up to 37.5% (Whitechapel). This is from the end of 2014 to the end of 2020. The reason professional investors and analysts expect continued outperformance for years to come, despite Crossrail being public knowledge for some time now, is that 80% of the residential market is owner occupied. The majority are buying for their commute now, rather than in several years time – meaning that investment opportunity continues through to ‘when the trains start rolling in’.